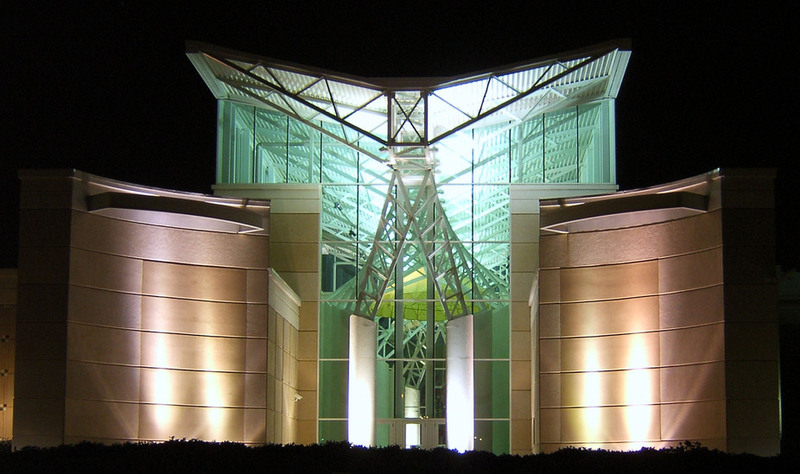 Located in Quantico, Virginia, the National Museum of the Marine Corps is another museum with outstanding architecture that can be seen emerging on the horizon as one travels north or south on I-95. 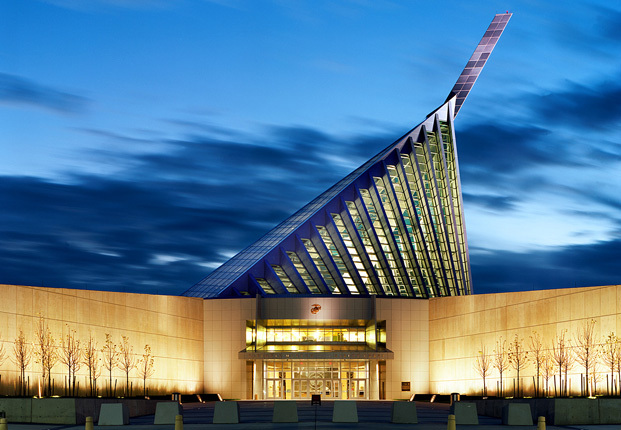 The National Museum of the Marine Corps is a lasting tribute to U.S. Marines–past, present, and future. Situated on a 135-acre site adjacent to Marine Corps Base Quantico, Virginia, and under the command of Marine Corps University, the Museum’s soaring design evokes the image of the flag-raisers of Iwo Jima and beckons visitors to this 120,000-square-foot structure. World-class interactive exhibits using the most innovative technology surround visitors with irreplaceable artifacts and immerse them in the sights and sounds of Marines in action. This museum is definitely worth a visit for anyone interested in military history and is also a great learning venue for museum professionals.